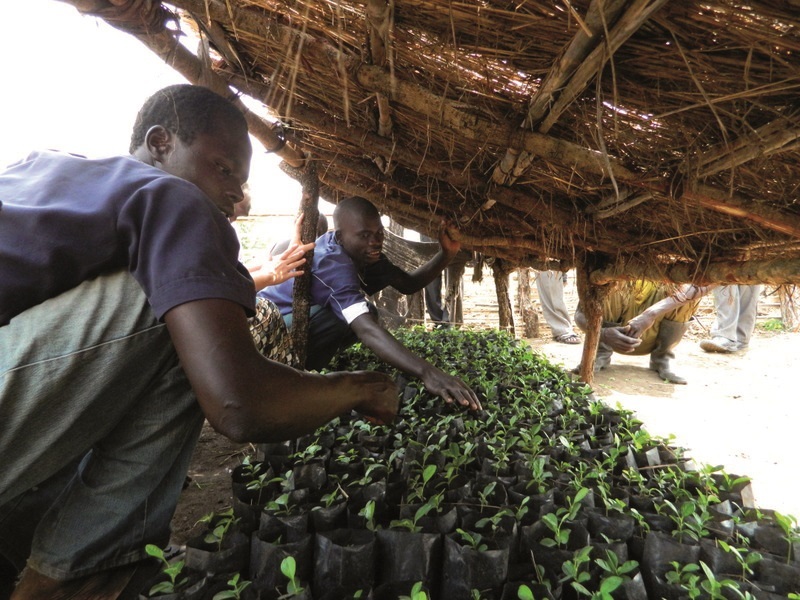 There are several projects in Pader in Northern Uganda, some bigger and some smaller, but all equally important in helping the community rebuild itself and its environment. They are aiming to achieve the vision of the Pader Restoration Resource Centre. 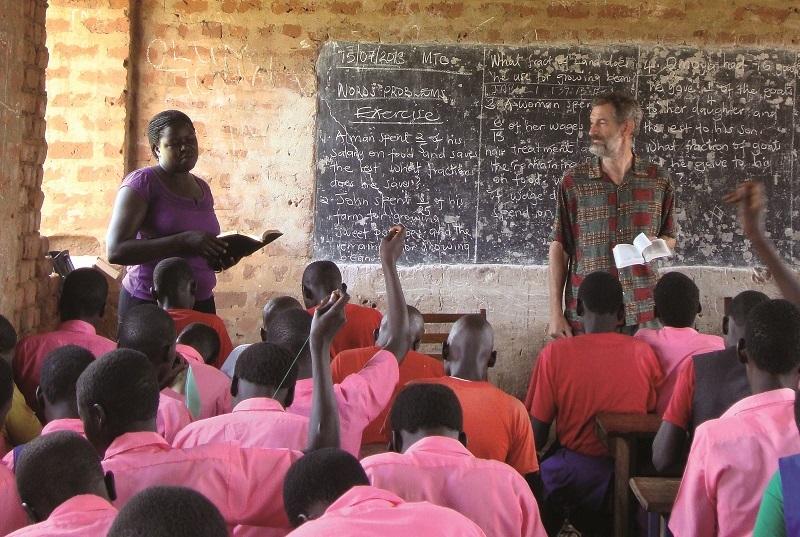 This ‘Training of Trainers’ project trains Christian volunteers from the local communities to equip them to train educators in their local community, who can go from door to door to teach a spiritual and a physical health topic. Read more about this project. 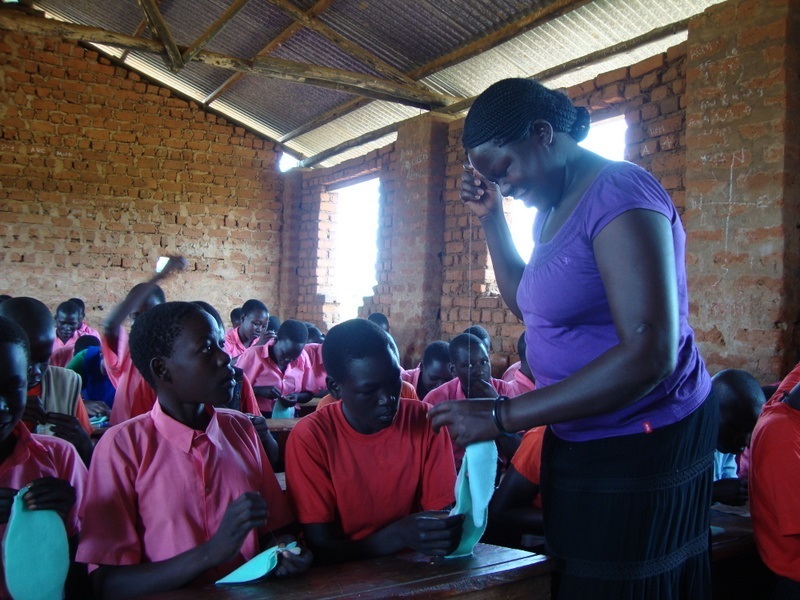 Young girls miss out on schooling and fall behind, eventually leaving full-time education, because they do not have the means to address their menstruation in a way to allow them to attend school. The Pads Ministry is helping to address this problem. Read more about this project. The Jesus Film is an adaptation of the Gospel of Luke, available in the local language. The equipment used to show the film is basic and portable. 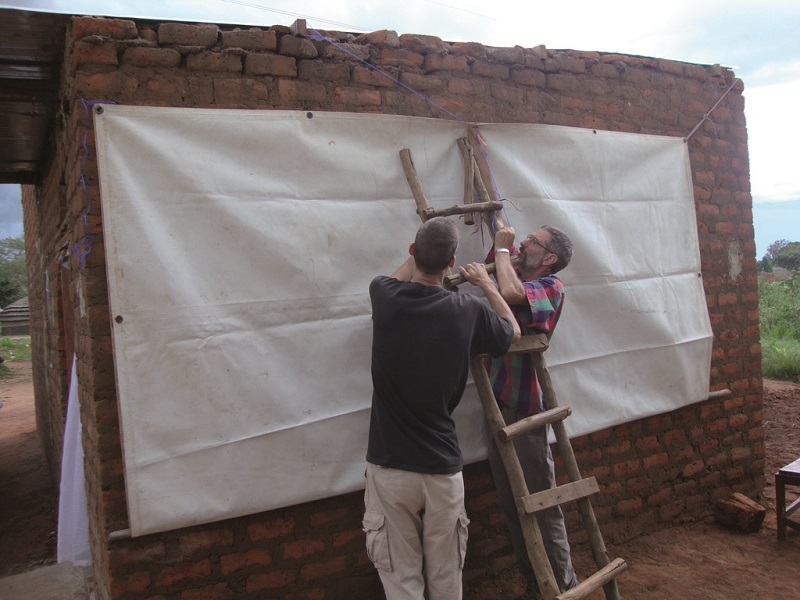 A screen is put up on a wall or in another suitable place, the projector is fired up and the Gospel is told. 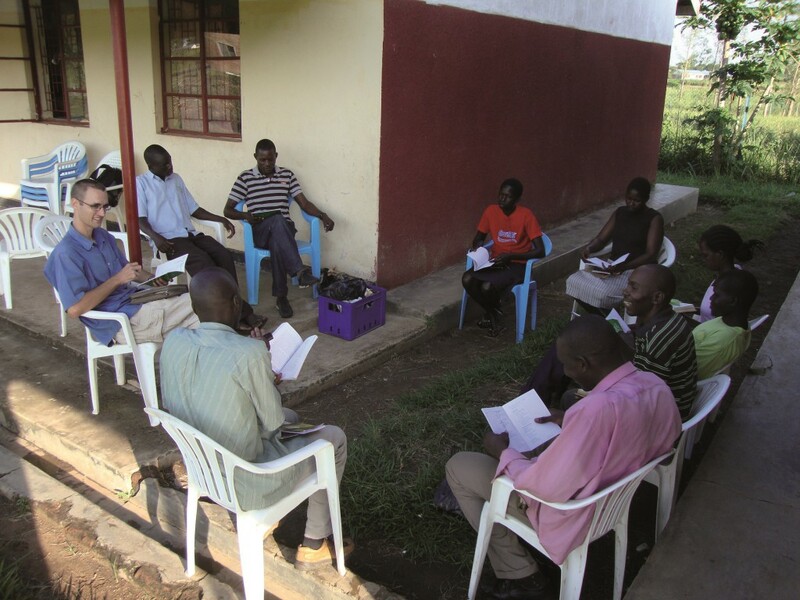 The project also included the training of local Christians in the community how to follow up with new believers, distributing Bibles and training groups in having weekly discussion-based Bible study. 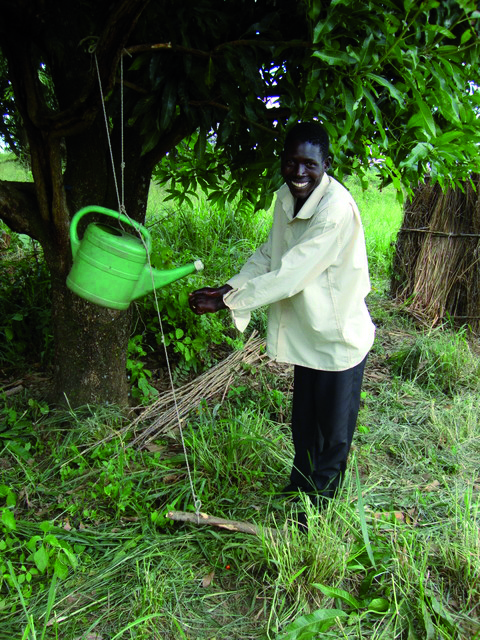 HIV/Aids is widespread in Northern Uganda. This project trains peer educators to teach in their own communities about HIV prevention, reduction of stigma and HIV-related domestic violence, grief counselling, home-based care for the bed ridden and how to make a will. Why is HIV a peace project? It is because HIV is a major root cause of domestic violence and land disputes (in which people have actually been murdered). So equipping people with the skills to talk to their spouse about HIV and AIDS, making a will, etc. can help prevent some of that conflict. There’s also the aspect of suicides when people find out they’re HIV positive – so, teaching people about the stages of grief and how to live positively helps prevent self-harm. Football is used as a means to teach young people (of both sexes) about teamwork, fitness and God. Read more about this ministry on Tom’s blog . 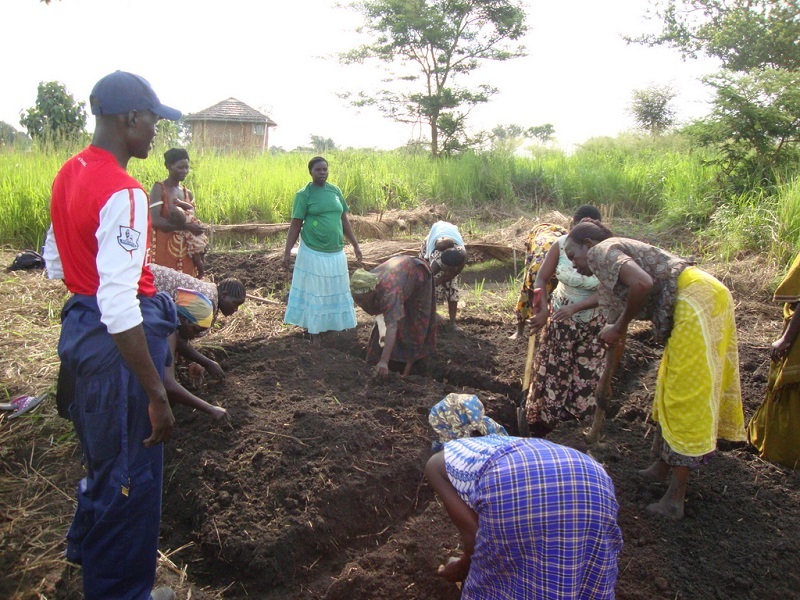 We train in improved methods for growing vegetables for home consumption. This is combined with teaching on the Parable of the Sower. 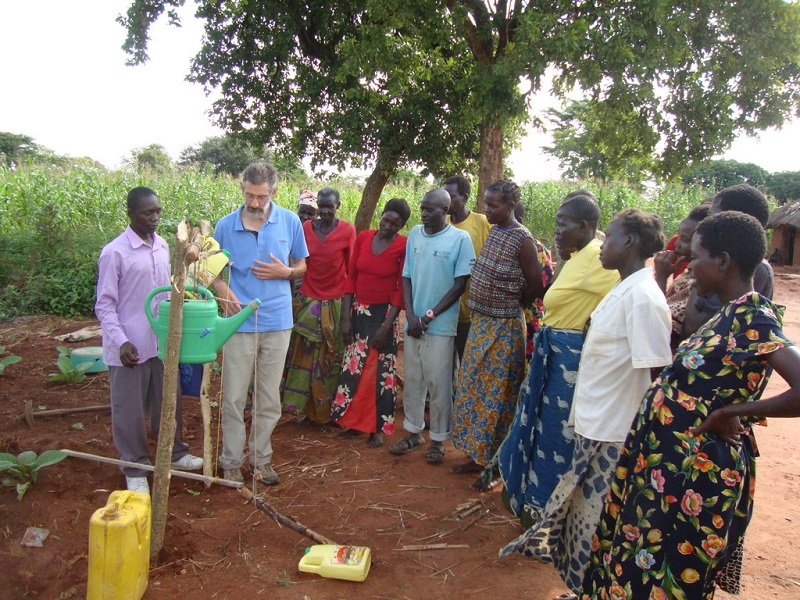 We train people on how to raise up orange trees from seed in a tree nursery. This will increase household income and access to essential vitamins. To donate securely online to these projects collectively, click on the CharityCheckout button. To donate to another project, click the link above and add a message to say where your gift should be allocated. Read more in the BushNet Issue 2 of 2013. 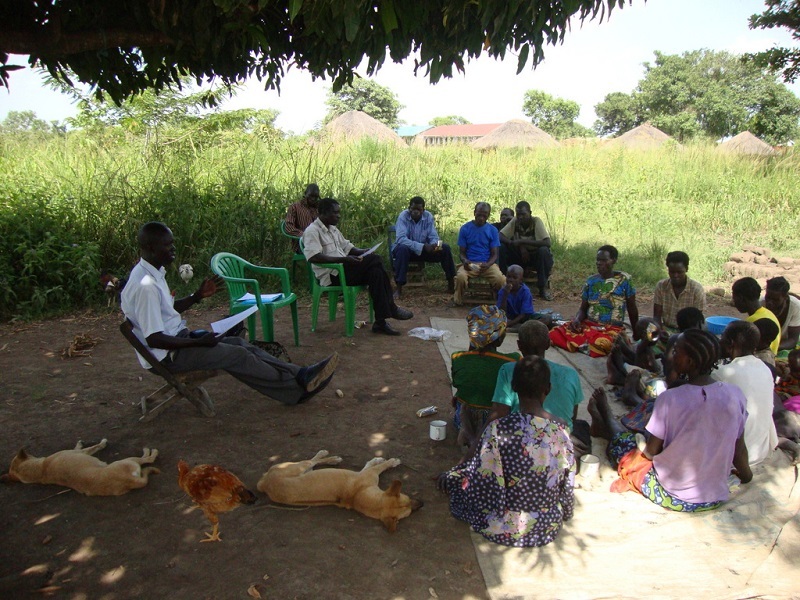 Watch this video for more information on Emmanuel International’s work in Northern Uganda and its historical context.